1. All prices listed above include land services only, not include international round trip air ticket. 2. All prices listed above are per person in U.S. dollars based on two adults sharing one room, double occupancy. A customer who travels alone is required to pay a single room supplement. Board an international flight bound for Hanoi. Cross the International Date Line. 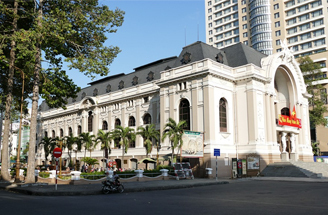 Arrive in Hanoi, you are greeted and transferred to your hotel. After breakfast, tour to Ba Dinh Square. Visit the Ho Chi Minh Mausoleum, the presidential palace. Then travel to the beautiful Halong Bay. After breakfast, take 4 hours boat out to sea to visit the world's natural heritage, "the world's new seven natural landscape" Halong Bay. Return to Hanoi After breakfast, on the way visit to Vietnam National Museum. We depart Hanoi and board a homebound flight for USA. You will be in the United States the same day. End of tour. 3. Chinese speaking tour guides services provided only. 3. Sightseeing tickets as specified in the itinerary. Three meals a day for the entire trip as specified in the itinerary. Buffet breakfast or Chinese breakfast each morning at hotel. Chinese lunches and dinners at local restaurants. Copyright @ 1999 - 2019 China CYTS Tours All Rights Reserved.